You are currently browsing the tag archive for the ‘food politics’ tag. In all its capacities, food has long played a role in human social and cultural systems. The consumption and preparation of food defines nations, unites traditions, builds families. And as the world has continued to develop and change, so too does the food industry and various food-philosophy movements. The Food Quest, an anthropology course at Oakland University explores the ways in which humans produce, consume and relate to food in a global, cross-cultural perspective. 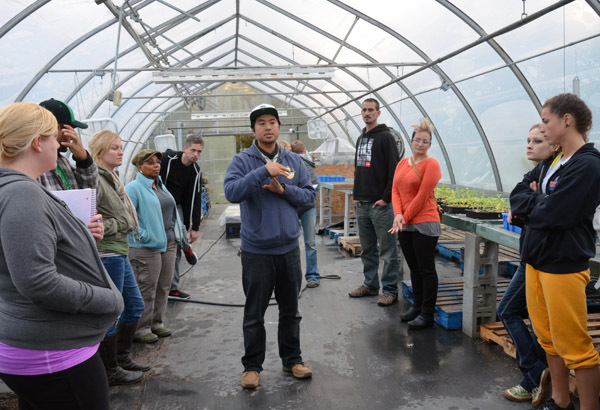 As they learn about the local and global impact of the food industry, several students have developed passions for the local and organic food movements. 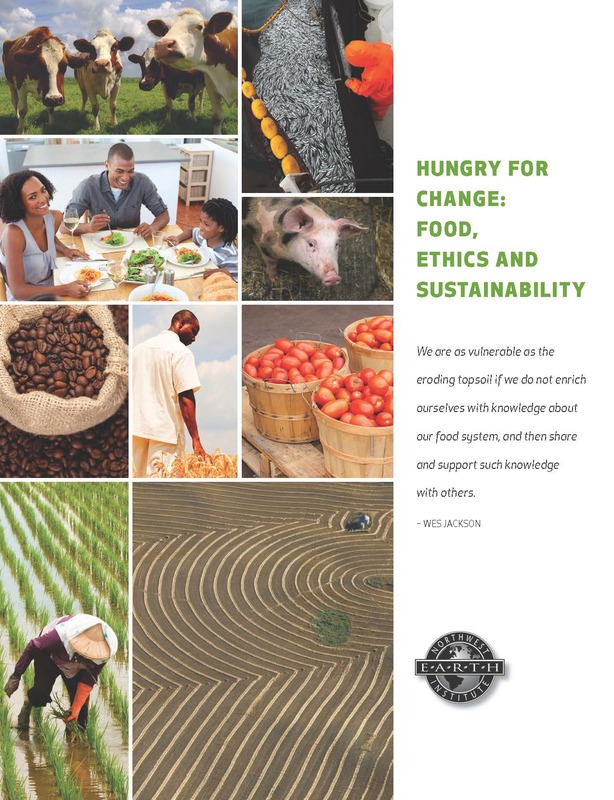 We’ve been following author Eleanor Baron and her blog Nourishing Words out of Concord, New Hampshire, where a group is currently participating in NWEI’s Hungry for Change: Food, Ethics and Sustainability, which explores food policy issues and the effect of global politics on food systems. Read below for musings on Session Two: Politics of the Plate. To prepare for the discussion, the group read articles by Lester Brown, Danielle Nierenberg, Mara Schechter, Marion Nestle, Daniel Pauly, Sandra Steingraber, Guari Jain, Eric Holt-Gimenez and Lucy Bernardini. To follow this blog and read the full post, click here. A few paragraphs into this week’s readings, I realized how little consideration I give to global issues related to food. My personal focus is just that—personal. My interests are close to home and I choose grassroots activities that will make a difference here. I’m conceptually aware of broader, global issues, but I’m a little embarrassed to admit that they don’t touch my heart very often. The shifting sands of global politics and economics are not familiar territory to me. I was not alone, I discovered. Most of us found these articles difficult to read: a bit tedious. We spoke of not feeling a personal connection to big issues like food insecurity on a national level. We were loosely aware of the resulting “land grabs” by wealthy countries, which buy up agricultural land in poorer countries to ensure their own country’s food far into the future. As a group, we realized our lack of knowledge of our country’s farm subsidies and how they relate to the real cost of food. We dived into the dizzying world of seafood, puzzling over what defines sustainable, and who defines it. I was not alone in admitting that I look for simple rules; when a topic (like sustainable seafood) becomes overwhelmingly complex, I bow out. Skip the seafood. The more complex the topic, the more I look for the bottom line. I was not alone in admitting that I look for simple rules; when a topic (like sustainable seafood) becomes overwhelmingly complex, I bow out. Skip the seafood. The more complex the topic, the more I look for the bottom line…(To read the rest of Eleanor’s post, click here).